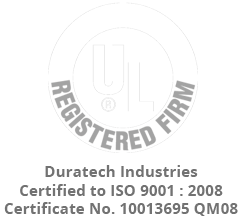 For more than 40 years, DuraTech Industries has been manufacturing custom graphic overlays, appliques, and pressure sensitive products for industries that expand the globe. In that time, innovations in commercial printing have evolved immensely. We are proud to say we have played a part in driving some of those innovations by being a company committed to investing in our team’s knowledge, resources and leading edge technology. But we believe we have another part to play. We believe we have a unique opportunity to better assist our current and prospective customers in making smart, informed decisions about our products. We believe we can create a dialogue in our industry. Therefore, we are happy to announce the launch of our DuraTech Industries Blog. Dedicated to providing you industry related resources, tips and guidelines, as well as keeping you abreast of the latest trends, our blog, promises to give you the information you want, and the guidance you need, right at your fingertips. We will be approaching our blog content from the perspective and experiences of employees throughout DuraTech who work with our products and technology daily. We will link you to interesting news stories, videos, or other blog posts that can add value in the way you use our products. We will show you case studies of customers who are doing some really cool things with our products. We will be posting here monthly, if not more, so you will have the most relevant information. You may come across our blog through other social media channels or websites, and we welcome that. The best way to be sure you never miss a new blog post is by subscribing to our new blog. Simply use the subscription function on this page to sign up. We are excited to get connected with you! Welcome!